In the world of education, the topic of mentoring comes up incredibly often. In a profession where a growing number of people leave within the first five years, it makes sense that we would focus on how to help new teachers adjust to the stresses of the job. Between grading, attending meetings, learning new policies, communicating with families, and actually teaching, it’s no wonder that our new teachers are overwhelmed. The transition from college to the workforce is already difficult, but throw in the added strain of such a meaningful job, and you have a recipe for early career burnout. That’s why it makes sense that we are concerned with providing effective mentors in our districts. I won’t deny for a second that mentoring our new teachers is important–it most certainly is. Without the positive influence of my mentor, I can truthfully say I would not be where I am right now. But there’s another side to mentoring and another transition that takes place a few years into your career that can be equally difficult. As a new teacher, you become increasingly familiar with the role of mentee. 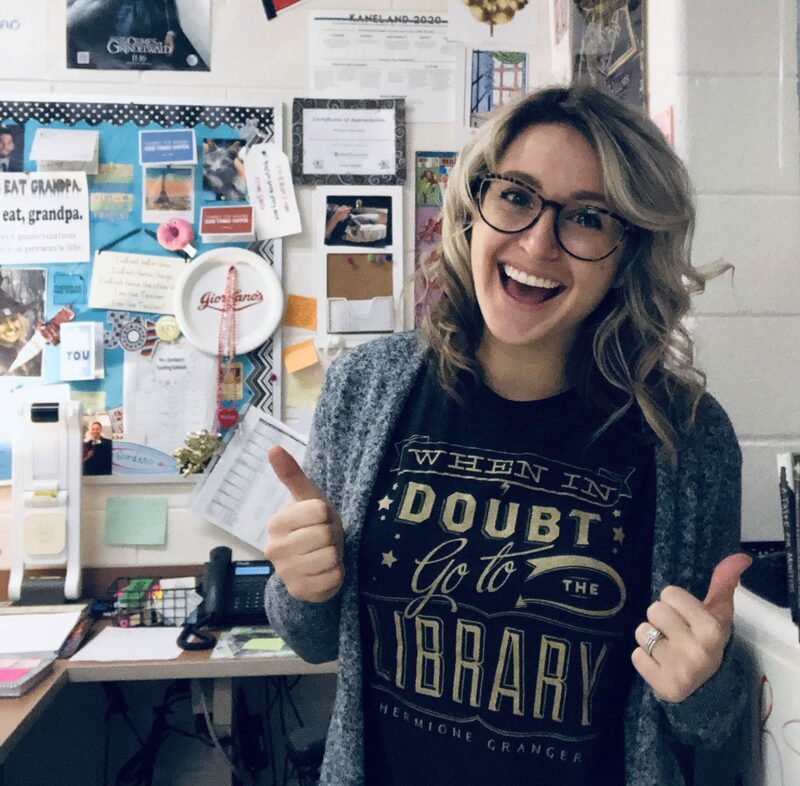 You know who the veteran teachers are, and you know who to rely on for finding the fastest copier, the best coffee (or palomas) in the area, who will read over your email before you send it out… and the list goes on. Years pass, and this is a constant. If you’re as lucky as I have been, you have a few someones to chat with, vent to, support you in a difficult conference, and advise you when you’re unsure. This becomes the norm, and as the new teacher, you become comfortable with it. But with anything, changes are always taking place. This year has been a great one for me. I work with a phenomenal group of people and have one of the best mentors I could have asked for. My students have grown and we’ve tried a lot of new things in room 330. It’s been awesome. And then, even though part of me saw it coming, my amazing mentor announced her resignation for the end of the school year. Obviously I freaked out. I mean, I’m new at this! I have no clue what I’m doing! I just do my best every day and hope it works out! I’ve only been doing this for… four years? Wait. When did that happen? Amidst the comfortable status quo, it hadn’t occurred to me that I had been teaching for a few years and had experienced a few things along the way. I had begun to gather my own materials and ideas, and started sharing them with colleagues. I’d started trying out new instructional methods and reworking units with less fear and more excitement. I was gaining my own expertise as a teacher, and at the time, I didn’t fully realize it was happening. The shift from mentor to mentee was a shock to my system. It’s still a shock to my system. I mean, I was pacing around the office for 15 minutes after hearing the news. The idea of working with someone new (or new to the district) is a lot, especially because we’ll be collaborating frequently, so I’ll be responsible for offering guidance pretty often. It’s exciting, definitely, and knowing that my own mentor will only be a Skype planning session away is reassuring. But when it comes down to it, next school year I’ll be a little less the mentee and a little more the mentor. Teachers are constantly learning from one another and asking advice. I don’t believe we ever fully give up our mentee status. By no means do I insinuate that I will no longer rely on my teammates for help–I absolutely will. Their combined experiences are incredibly valuable, and to not accept their counsel would be insane! What I mean to say is that there will be someone else who has the new teacher title, and I’ll have to hand it over whether I’m ready to or not. Mentoring is a hot button issue in the world of educators, and rightfully so. The positive influence of a seasoned teacher is irreplaceable. It can be the difference that causes someone to stick with the profession or decide to seek another path. They can be the reason a teacher chooses to take on a new subject area and then develop a passion for it. Their guidance can lead to confidence and success in the classroom, which then opens the door to share with other educators. The professional respect and collaborative planning sessions can be an example for how to work successfully with others in the district, while still sharing your thoughts or ideas. And then, at the end of it, a friendship with inside jokes, valued conversations, and someone to rely on for more than just finding the interoffice mailbox remains.